doz ideas: Nigerian Democracy: should minority lead majority? Nigerian Democracy: should minority lead majority? The result of the United States’ (US) midterm elections is known. The Republican Party won the most seats in the US Senate. Pres. Obama and his Democratic Party are in a precarious situation since they have lost control of the Congress. Republicans are expected to sternly oppose Mr Obama’s policies through the remaining 2 years of his Presidency. By January 2016, Republicans will control the Senate and the House of Representatives. As in every democracy, the principal officers of a political party that has more members in the Congress lead and control the Legislature. Well, in Nigeria the reverse is the case. And that’s what Mr Aminu Tambuwal, the current Speaker of Nigeria House of Representatives, is trying to tell the world. Tambuwal was elected a Rep on the platform of People’s Democratic Party (PDP). He became the Speaker because PDP has more members in the House. But he has since defected to All Progressives Congress (APC). Funnily, he still wants to remain the Speaker because in his mind, the minority must lead the majority. Aminu and APC are justifying why he should remain as the Speaker. They have cited the Nigerian constitution. They claim the constitution simply states: the House members shall elect a Speaker from amongst themselves. Not that the Speaker must come from the political party that has the majority. That’s true. However, the contest for the Speakership was between Tambuwal and Mrs Mulikat Akande-Adeola. Both of them belonged to the PDP. Then, why didn’t any member of the opposition join the race? The answer is simply because, it is assumed globally; the party that has majority leads the legislature. That assumption is what is going to happen in January 2016 when the Republicans grab the majority of the 114th US Congress. It is not written in the US constitution that the majority will lead the Congress just like the Nigerian constitution. But it is obvious that the Party with majority will use its numerical strength to elect its officials. And Harry Reid, the current Democrats’ Senate majority leader, will not dare the Republicans to impeach him before he steps down. In Contrast, that’s what Mr Tambuwal is telling the PDP to do. 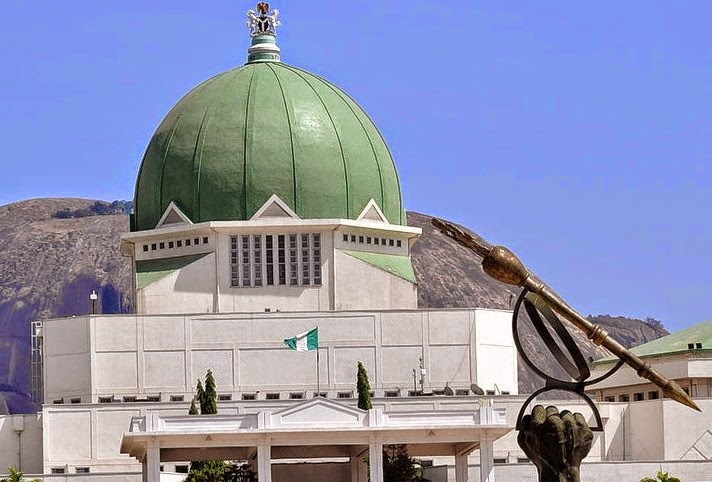 The members of the Nigeria House of Representatives call themselves honourable. If that’s the case, Tambuwal should have resigned his Speakership by now. Not only that, he should have also resigned as a member of the House. The reason Tambuwal will not lose his seat for defecting from PDP to APC is also contained in the constitution as he pointed out. The constitution says: a member of the House of Reps will not lose his/her seat if there’s a division in the party that sponsored him/her. But is there a division in PDP? And so, the simplest way of defecting to another political party and still retain your seat is to cause a division in you old party. Then you have an excuse to leave for the new party. That’s what the constitution is encouraging. It seems that Nigerian constitution aids confusion. Otherwise, why include clauses that will confuse the system? That will aid politicians to rightly or wrongly justify their actions. Why didn’t the constitution simply state; if you defect to another party - you lose your seat? That is the norm in all democracies of the world. For instance, in the United Kingdom, Douglas Carswell resigned as Member of Parliament (MP) when he defected from the Conservative Party to UK Independent Party (UKIP). He contested the bye election on the platform of UKIP and won. Nigerian politicians portray the country negatively. The leadership shows insincerity that I doubt if the rest world will take their words seriously. No wonder every country in the world has refused to sell a single bullet to Nigeria to effectively fight Boko Haram. In the end the common people will suffer the deficiencies of their leaders. The rest of the world will continue to humiliate Nigerian citizens in their embassies and airports until such a time the leadership of the country can be taken seriously.